These accounts are our main source of information and are absolutely outstanding! Their existence is quite epic: In 1339, the last Dauphin Humbert II is broke. His only son died a few years ago and he wants to sell his province to the Pope Benoit 12th (Remember that he is a neighbor as he lives in Avignon). In order to assess the value of his assets, he sends controllers in each of his castle to measure the height, depth and width of each piece of wall or tower to determine the volume of stones being used. Converted in Florins, this will give the value of the castle. Wooden parts of the castles like staircases, hoardings, roofs are barely described as wood deteriorates quickly and doesn't have a real trade value in these days. Many ruins can still be seen today, but their interpretation can be difficult: Walls have been modified over the centuries and the ruins may not represent the superstructures of the 14th century. 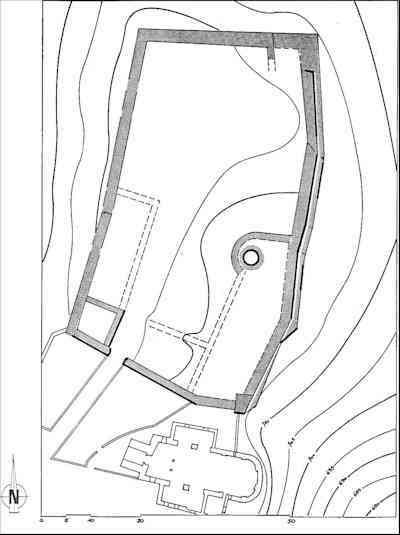 All castle sites (with the exception of Mont-Briton which was discovered only in 2005 by a member of the Atelier) have been mapped out and explored by archeologists. Their plans are the most accurate source of information to assess the location of the wall basements. 19th century postcards can be very helpful to view walls that have destroyed since then. 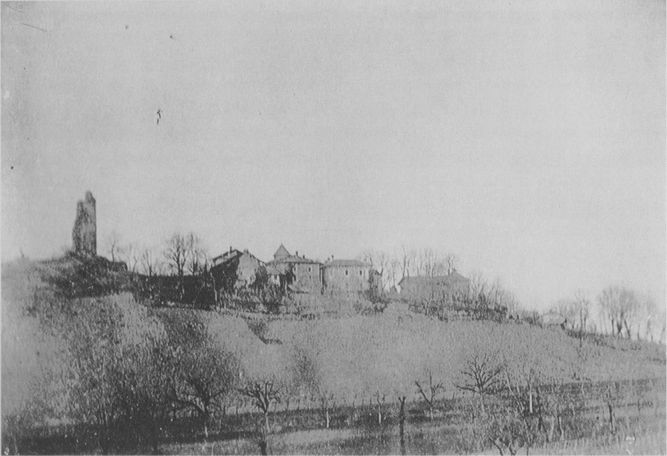 The postcard on the right shows the aspect of the tower of Avalon before being rebuilt by the Chartreux monks in the late 19th century. 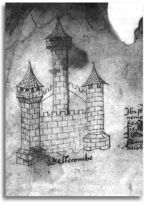 Master masons of the middle ages didn't use drawings to plan their castles, so this source of information is very rare. 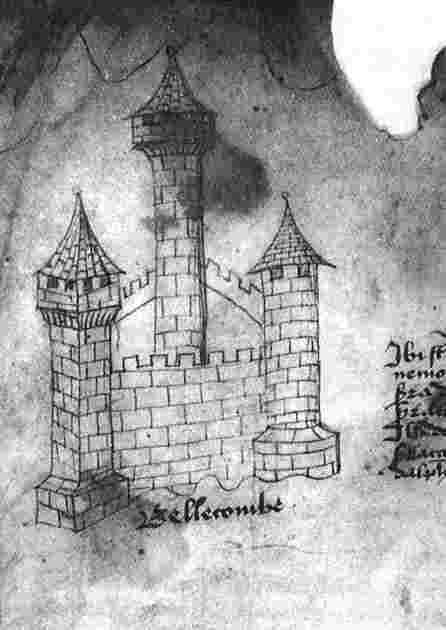 The drawing of Bellecombe castle on the right was made in the 15th century. 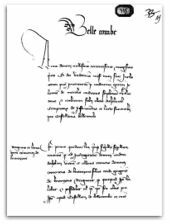 It was part of a parchemin describing the border between Dauphiné and Savoy. The basement of the keep of Bellecombe is inspired from this drawing. 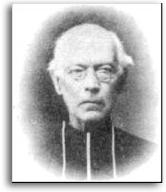 Many priests in the late 19th century or early 20th century were fond of history and spent a humongous amount of time translating old documents in Latin into modern French. The Abbé Perrin (picture to the right) wrote the history of La Buissière, the Abbé Bernard wrote the history of Bellecombe and Montmélian, the Chanoine Chevalier compiled ALL the documents related to Medieval Dauphiné in French: 40,000 texts that fill 7 large books of 450 pages each! This masterpiece has just been scanned and indexed recently by the National Library of France to facilitate the researches.